So, you want to get involved in your community and make a difference, but you’re not quite sure where to start. There are plenty of causes you care about and important nonprofits that are working to change the world, but how can you find the right one for you? 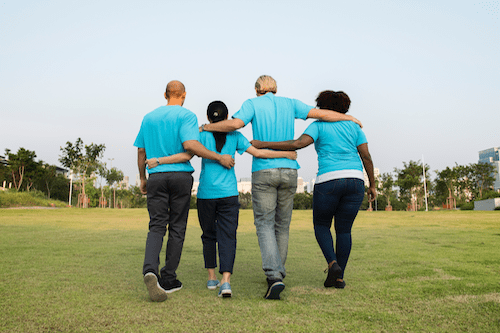 While it might seem simple, choosing a nonprofit organization to volunteer with can actually be a very challenging decision. There are so many options to choose from, it might become overwhelming. Even if you care about a cause, how can you ensure you’re a good fit for the position? Here are some ideas to help you find the right fit for volunteering. The first—and most important—step to finding your fit for volunteering is to make sure it’s something you’re passionate about. There are a variety of worthy causes out there, but if you work with something you don’t genuinely care about, then you will waste both yours and the charity’s time. Make a list of groups, causes and issues that elicit a strong emotional response in you. For instance, perhaps you care a lot about the elderly because you were very close with your grandmother. Or, you love donating blood because you have a rare blood type. Write down the things you care about to evaluate your passions. Next, consider what skills you have to offer in a volunteer position. Just because you have a passion for the cause doesn’t necessarily mean you would work well there. Nonprofit organizations want volunteers at their best, so evaluate what you’re good at and how you could use that in a volunteer role. For example, maybe you don’t love working with people, but you’re great with numbers, so you could help with financial services. Or, maybe you’re great at projects around the house, and could offer free services to fix up their building. Whatever your strengths are, you can leverage them to support a cause you care about. Once you’ve identified what you love and what you’re good at, it’s time to investigate charities to work with. Of course, where’s the easiest place to start? With your family and friends! Ask the people around in your life to see if they know any nonprofits with valuable causes who could use an extra set of hands. If you’re still not sure, question those closest to you where they could see you volunteering. Sometimes an outside perspective is the best one we can gain on our lives, so ask where your loved ones think you should volunteer. There are a variety of online databases available for people interested in volunteering. Sites like VolunteerMatch, Idealist and HandsOn Network all have networks of organizations in need and volunteer positions available. Simply go to the site, type in your location and what you’re interested in, and surprise! You have a complete list of nonprofits in your area looking for volunteers like you. Give it a try to start you off on the right foot as you continue to pursue a valuable volunteer match. When you have connected with a charity, be sure to start small. You might not want to dive in right away. Instead, it’s perfectly fine to take some time to get your feet wet. Volunteer when and where you can, and see how you enjoy working with the organization. Once you feel more comfortable or confident in volunteering, there will be plenty of opportunities for you to get more involved. And of course, always be sure to organize your time well and avoid volunteer burnout. Finding a cause to volunteer with can be a challenging decision. Between all of the available organizations and opportunities, how can you choose? Keep these tips in mind as you explore the nonprofit arena and search for your right fit for volunteering.